Researcher David Seekell of the Climate Impacts Research Centre, Umeå University, will receive Umeå municipality’s scientific prize for young researchers. His research focuses on understanding the function of lakes in connection with climate change. Globally, lake waters are thought to be getting darker due to increasing concentrations of dissolved organic carbon - an amalgam of thousands of uncharacterized carbon compounds that get flushed into lakes from surrounding areas. 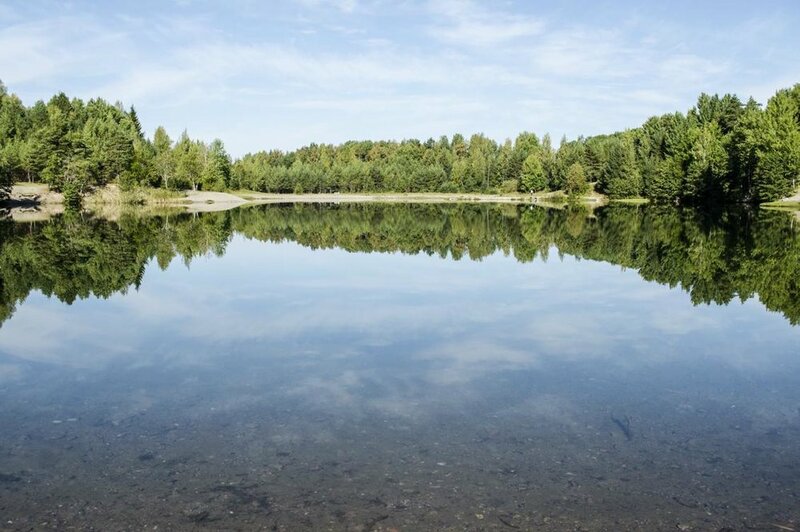 It's been predicted that this change in water color will lead to declining fish populations, but prior studies haven't considered how variations in lake depth might affect this relationship. http://dx.doi.org/10.1002/2016GL071378 Cael et al. "The volume and mean depth of Earth's lakes" Geophysical Research Letters (2017). doi:10.1002/2016GL071378. Video produced by researchsquare.com. Global lake volume estimates are scarce, highly variable, and poorly documented. We developed a rigorous method for estimating global lake depth and volume based on the Hurst coefficient of Earth's surface, which provides a mechanistic connection between lake area and volume. Volume-area scaling based on the Hurst coefficient is accurate and consistent when applied to lake data sets spanning diverse regions. We applied these relationships to a global lake area census to estimate global lake volume and depth. The volume of Earth's lakes is 199,000 km3 (95% confidence interval 196,000–202,000 km3). This volume is in the range of historical estimates (166,000–280,000 km3), but the overall mean depth of 41.8 m (95% CI 41.2–42.4 m) is significantly lower than previous estimates (62–151 m). These results highlight and constrain the relative scarcity of lake waters in the hydrosphere and have implications for the role of lakes in global biogeochemical cycles. Cael, B. B., Heathcote, A. J., & Seekell, D. A. (2017). The volume and mean depth of Earth’s lakes. Geophysical Research Letters, 44(1), 2016GL071378. doi:10.1002/2016GL071378. "Världens sjöar är bara två tredjedelar så djupa som man tidigare trott. Forskaren David Seekell, vid Umeå Universitet, har tillsammans med kollegor använt matematisk analys för att göra en noggrannare bedömning av sötvattensmängderna i världen. Mindre vatten innebär att tillgångarna är mer sårbara för mänsklig påverkan."